There are many tips, tricks, and techniques for improving things like skin tone and imperfections, and enhancing the photo subject’s features during design. 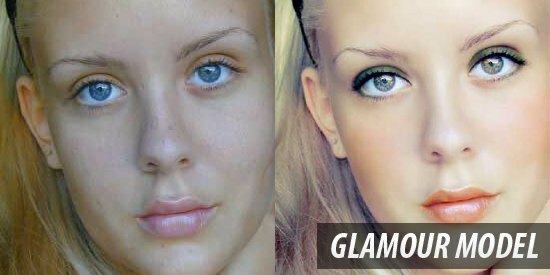 This article shares a huge variety of photo retouching tutorials for Photoshop users with brief descriptions of each to eliminate questions you may have. Learn how to improve a poorly taken photograph by reducing its noise in this Photoshop subject-enhancing tutorial. 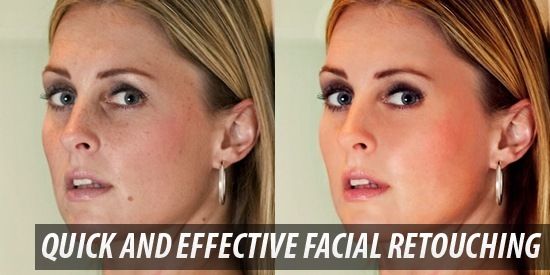 You will also discover a fast and simple way for smoothing out a person’s skin with realistic results. 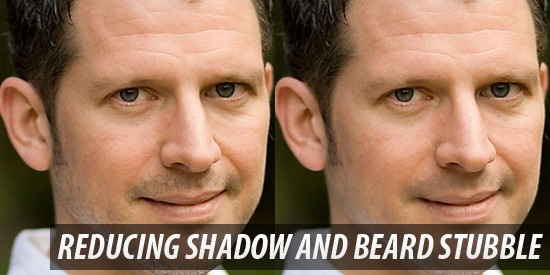 You can learn how to lower the amount of beard stubbles a person has by reading this excellent Photoshop retouching tutorial. The tutorial covers layer masking techniques, effective usage of the Healing Brush Tool, and layer blending options. 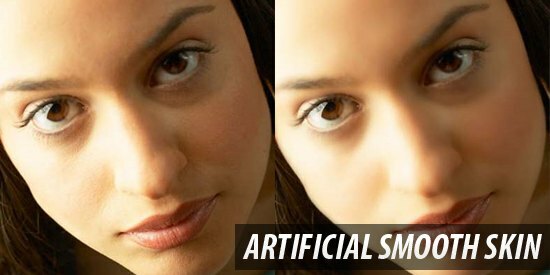 This tutorial goes over an easy method for digitally applying makeup on a subject for a beautiful and realistic outcome. Some Photoshop tools and features used are the Reduce Noise Filter, the Paint Brush Tool, and the Eraser Tool. 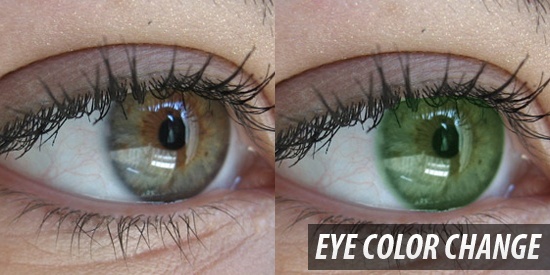 You can use Photoshop to change a photo subject’s eye color by reading through this tutorial that shares a simple method for doing so using Quick Mask Mode and Color Balance Image Adjustments. Learn a technique for augmenting the photo subjects breast size (often used in print magazines) using the Liquify Filter and the Bloat Tool in this quick and easy Photoshop tutorial. 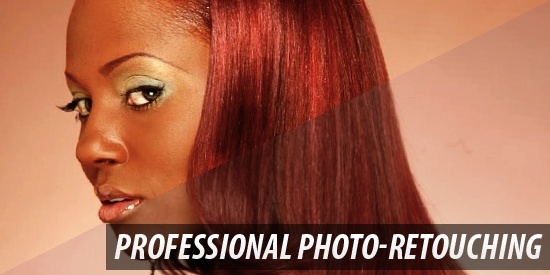 Learn the basics of photo retouching and enhancing a photo’s color by way of the colorization method. Doing so will improve any web design significantly. The Gaussian Blur filter, Curves image adjustment, and the Smart Sharpen filter are just some of the options applied in this Photoshop tutorial. 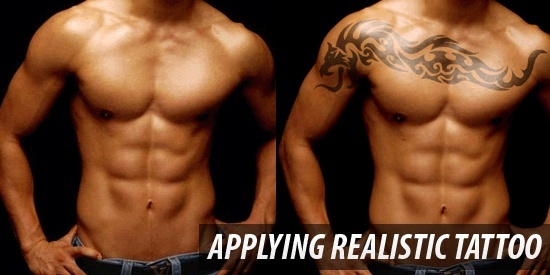 If you would like to apply a digitally placed tattoo on a subject’s body – perhaps either to cover up imperfections or to make them look badass – this tutorial goes over a method that offers realistic results. 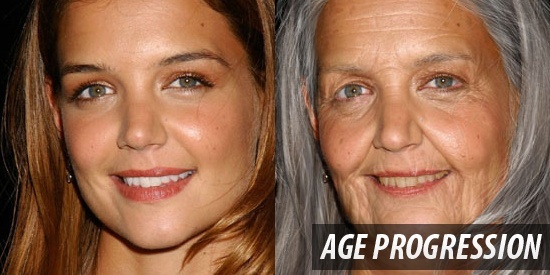 Retouching usually aims to reduce aging in someone’s features, but what if you wanted to do the opposite? 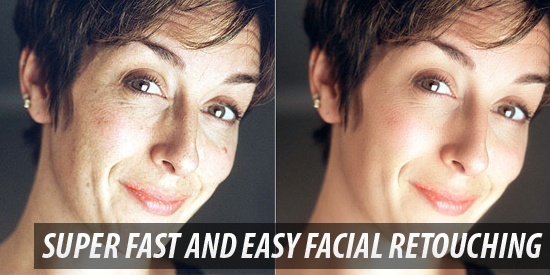 In this retouching/enhancing tutorial – you’ll learn a method for realistically aging someone’s facial features. 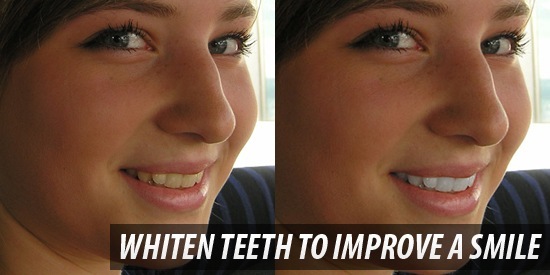 Learn to brighten the subject’s teeth for a pearly-white smile in this Photoshop tutorial that uses the Quick Selection Tool for easy area selection and a Hue/Saturation Adjustment layer to get the job done. In this tutorial, you’ll learn professional methods for enhancing a bikini model photo. 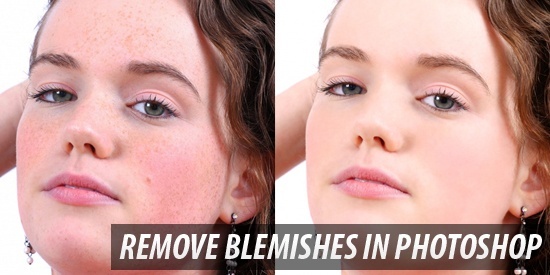 Find several Photoshop techniques such as removing unwanted skin blemishes and a digital airbrushing process. 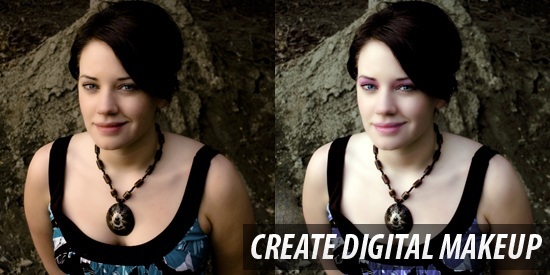 You can enhance a photo subject by altering their natural features. One way to end up with eye-grabbing results is by changing a person’s hair color; this Photoshop tutorial shows you how to do it with basic masking tools and layer styles. 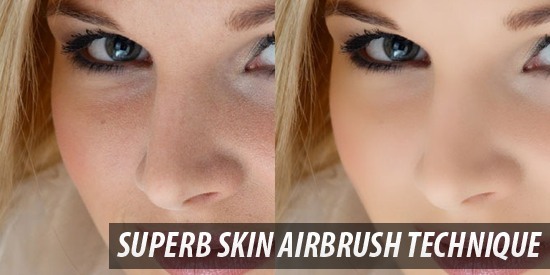 Airbrushing is used by professional makeup artists to prepare subjects for photo shoots. In this retouching tutorial, you’ll discover how to perform this process digitally with the help of Photoshop tools such as the Surface Blur Filter and the Paint Brush Tool. 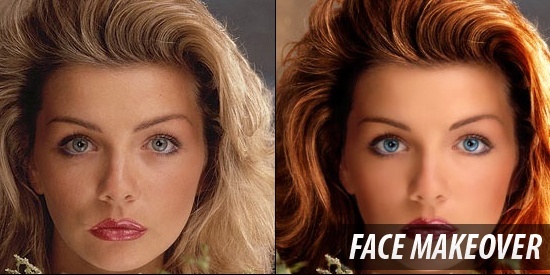 This professional-level Photoshop tutorial goes over the ways in which you can give someone a full digital makeover, including how to whiten eyes to make the subject look more vibrant, using the Paint Brush Tool in conjunction with lay blending modes. The Spot Healing Brush Tool, the Warp Transform option, and downloadable Photoshop brushes are some of the things this excellent facial retouching tutorial on Grafpedia utilizes to enhance the eye area of the photo subject. In this Photoshop photo-enhancing tutorial, you will find out how to apply makeup digitally onto a photo subject using a couple of Photoshop filters, masking tools, and Image Adjustment options. This quick and easy beginner level Photoshop tutorial goes over some basic masking methods using the Quick Mask Mode and the Paint Brush Tool to smoothen a person’s facial skin for a flawless surface, a technique used in many print magazines. In this video tutorial on Abduzeedo, you’ll observe methods that professionals use in order to enhance the subject of a photograph. Color correction, reshaping of body features, and adjusting depth of field are just some of the things covered in here. 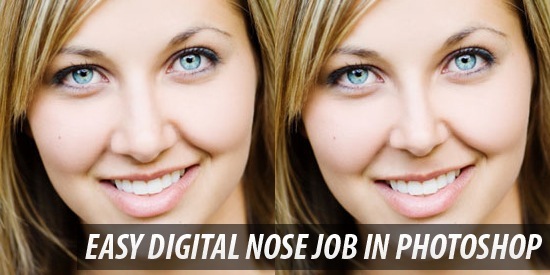 This detailed, step-by-step Adobe Photoshop tutorial covers a technique for enhancing a person’s nose. The Lasso Tool, Free Transform, and the Healing Brush Tool are the main Photoshop features utilized in this process. 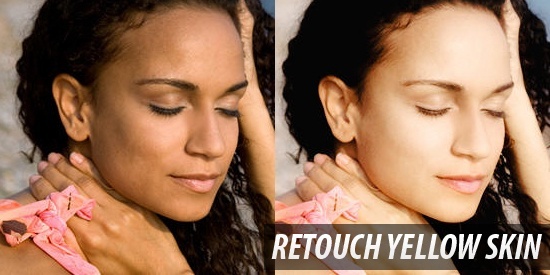 In this Photoshop retouching video tutorial, you will get to see a method for digitally adjusting someone’s hair. The tutorial goes over removing unwanted parts of the hair, adjusting tonal values, and working with blending modes. What’s great about Photoshop is that you can often get exceptional results in a short amount of time. 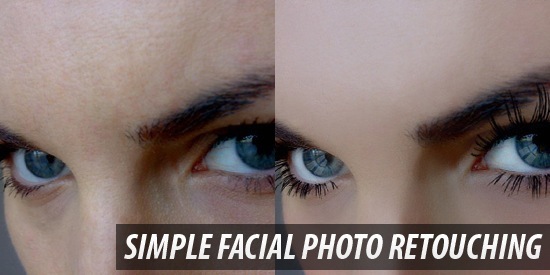 This step-by-step Photoshop face retouching tutorial goes over how to achieve realistic and impressive results in a matter of minutes. 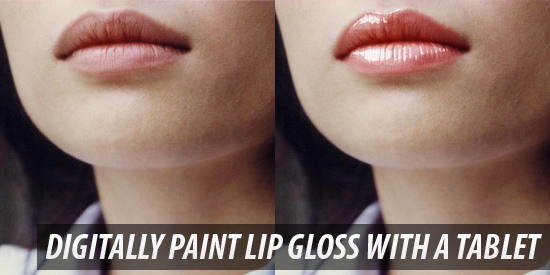 Apply lip-gloss to a photo subject by reading through this Photoshop retouching tutorial that uses the Liquify Filter and Photoshop brush techniques to add some sheen to a person’s lips. The Spot Healing Brush Tool, the Gaussian Blur Filter, and the Paint Brush Tool are the subjects of this easy to follow and highly illustrative Photoshop retouching tutorial featured on Tutorialboard. 23. 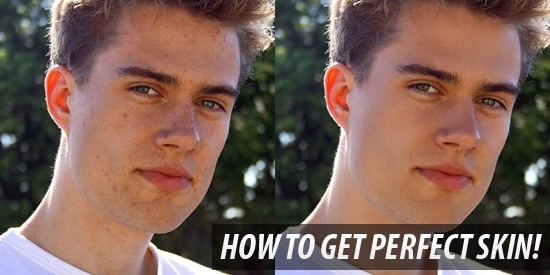 How To Get Perfect Skin! This easy-to-follow and extremely detailed Photoshop tutorial shows you how to improve a photo subject’s skin features with just two tools: the Healing Brush Tool and the Clone Stamp Tool. This photo-retouching tutorial outlines several handy techniques for improving an image, such as taking advantage of the Patch Tool for skin blemishes and using the Turbulence Tool for smooth pixel scattering and for blurring out imperfections. 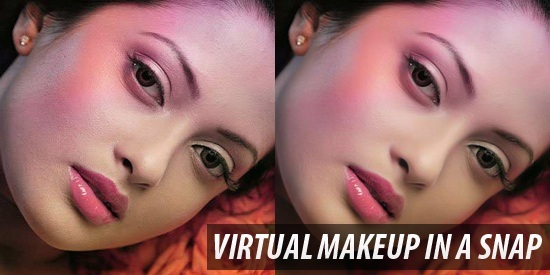 Here is a Photoshop tutorial for applying realistic makeup on photos; it utilizes the Dust & Speckle Noise Filter as a layer mask and Shadow/Highlight Image Adjustments to enhance your images swiftly and painlessly. You can lighten and soften a person’s skin tone and texture by following along this excellent Photoshop tutorial that uses options such as the Soft Light layer mode, Selective Color Image Adjustments and Curves Image Adjustments. 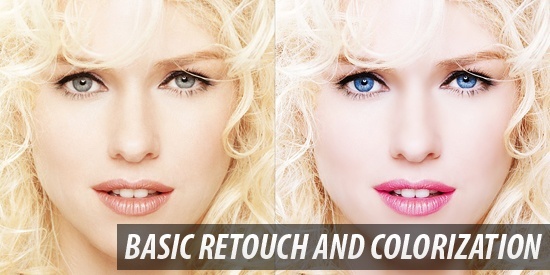 Got a photo retouching tip?